Sometimes, research ends up in nothing… and there is nothing else to do but to admit it. 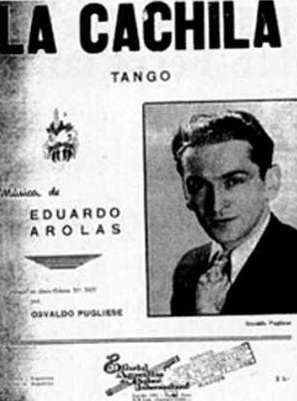 The life of Eduardo Arolas, El Tigre del Bandoneon, the author of “La cachila”, “Comme il faut” and “Derecho viejo” has been researched in painstaking detail. Among all tango celebrities, only Carlos Gardel has drawn more attention, but in the case of Gardel, both his birth place and birth date is still surrounded with mystery. As for Arolas, we know for sure that he was born in the summer of 1892, in Barracas, Buenos Aires, and that he lived there until a devastating love story drew him away from Buenos Aires, first to Europe, and then to Montevideo, and left a deep scar on his soul for the rest of his short life.